Home beauty dailythings Diet DIY Food hacks Health & Wellness Health and Wellness hrh Nutritions recent slider Use Baking Soda To Make Your Face And Skin Beautiful! It can be hard to believe that something you probably already have in your pantry, such as baking soda, can be an inexpensive means of nourishing, protecting and healing the skin on your face. A simple baking soda face mask can clean your skin, kill a wide variety of potentially destructive pathogens and make you feel a lot better. Baking soda, making your skin smoother, cleaner and fresher, can be an effective and cost-efficient alternative to a lot of expensive health and beauty products. A basic baking soda facial can also help get rid of acne and clear up rashes. Read on for some useful tips on how to use baking soda for your skin. The combination of baking soda and lemon is can help you disinfect your skin, reduce age spots and cleanse your skin in general. Mix 2 tablespoons of baking soda with 2 tablespoons of brown sugar in a cup, then fill ¼ of the cup with lemon juice. Mix well until the ingredients combine. Apply this mixture on your slightly wet skin and leave it on for 10 minutes. Wash it off with warm water. Take some baking soda in your hand and add warm water to form a paste. Apply the paste on your face or skin with gentle circular movements. After applying rinse it with warm water. This way, with the help of baking soda you will remove dead skin cells, oil, and dirt from your skin and unclogged the pores of the skin. Coconut oil is a powerful skin moisturizer. The combination of coconut oil and baking soda can exfoliate and soften your skin. It is especially effective in treating skin inflammation and dry skin. Combine equal amounts of coconut oil and baking soda. Apply the paste on your skin and leave it on for a few minutes. Rinse with warm water. Make a mixture of baking soda and ground oats to cleanse your skin. Add some ground oats in water with baking soda in 1:6 ratio. Use this mixture to massage your face with your fingertips. Avoid eye contact. Rinse it off with warm water. 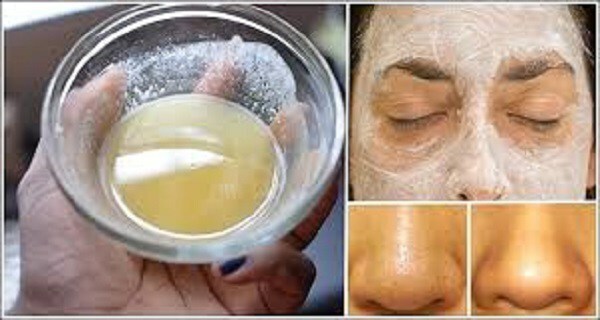 This mixture will help you cleanse your face and remove the dark circles under the eyes.